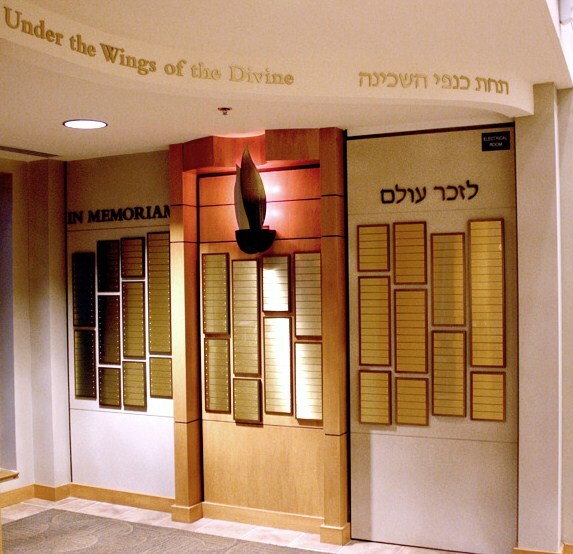 Our graphic designers create modern memorial designs of singular beauty that evoke thousands of years of culture and tradition. 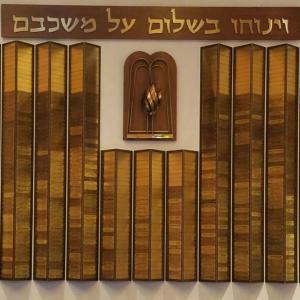 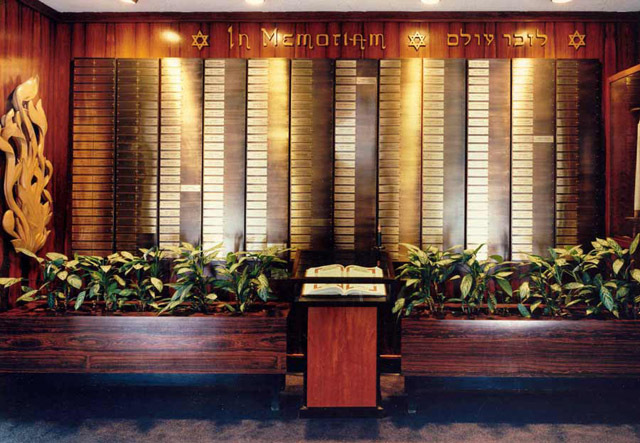 The experienced artisans at W & E Baum fabricate modern Yahrzeit tablets in many mediums such as bronze, brass, aluminum, Corian®, glass and exotic woods. 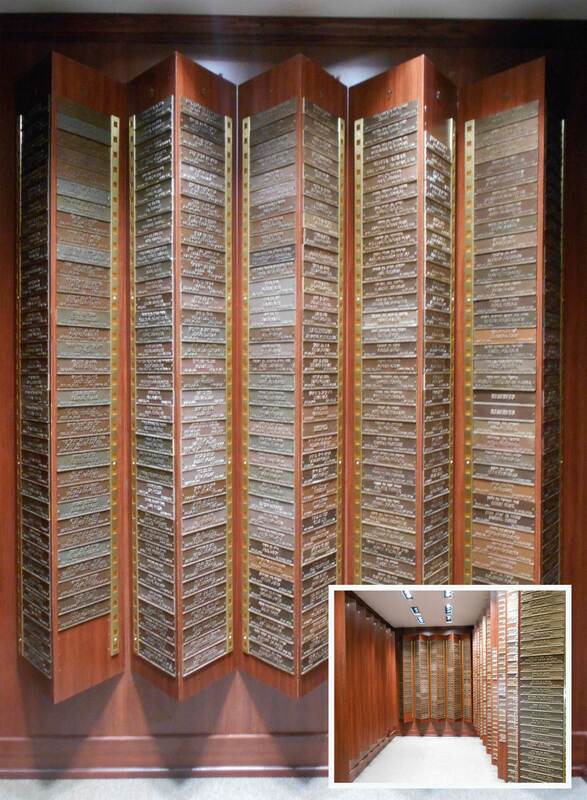 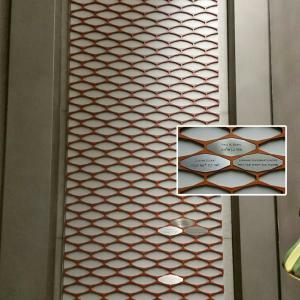 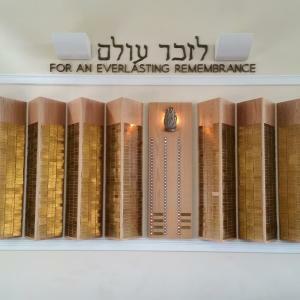 We will work closely with you to insure harmony of design within your synagogue. 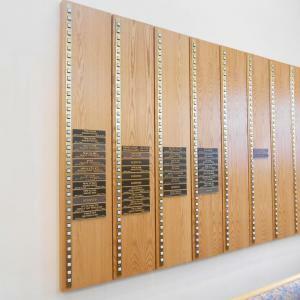 V shaped oak veneer columns, accommodate 2,500 - 1 1/2" x 5" satin brass nameplates. 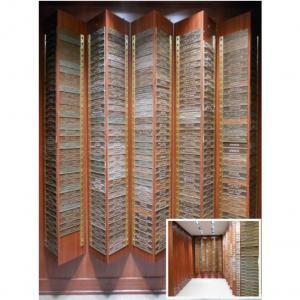 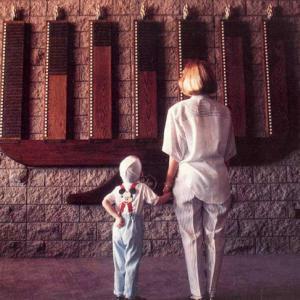 The columns are approximately 19" wide x 68" high x 14" deep. 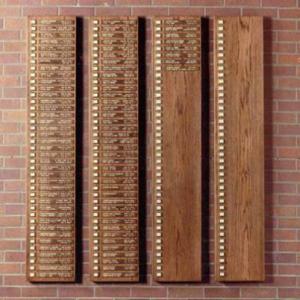 The center of the design is a 68" x 21" oak veneer column accommodating 93 plates with a rectangular push button light. 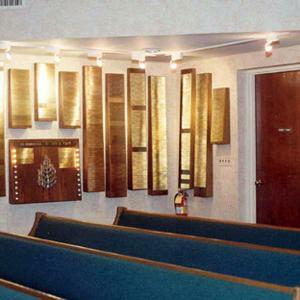 Oxidized brass columns with rectangular pushbutton sockets. 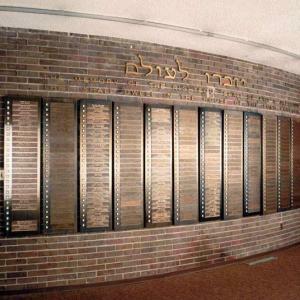 Individual cut brass letters title the columns. 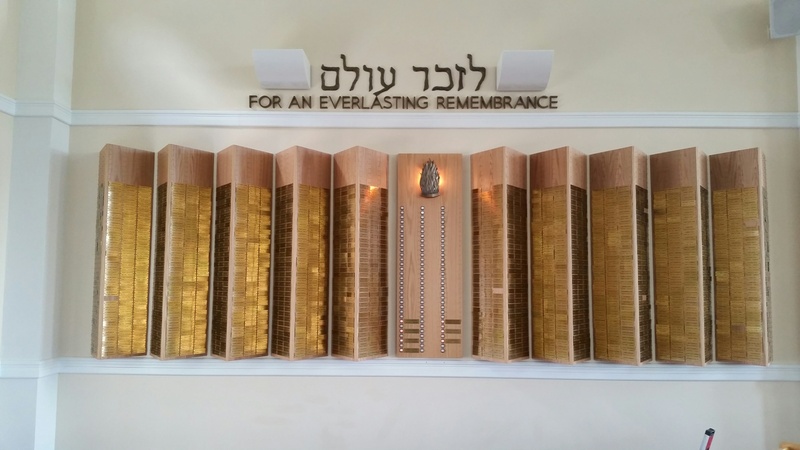 Columns can be added making this Yahrzeit Wall easily expandable. 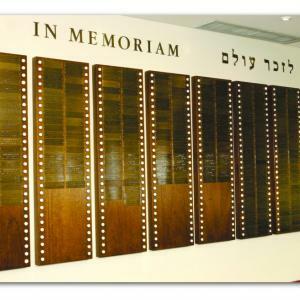 72 – 1 1/2" x 10” nameplates mounted to cherry wood laminated background. 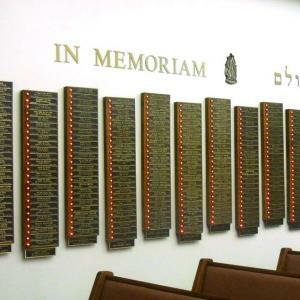 An individual rectangular push button socket to the left of each name. 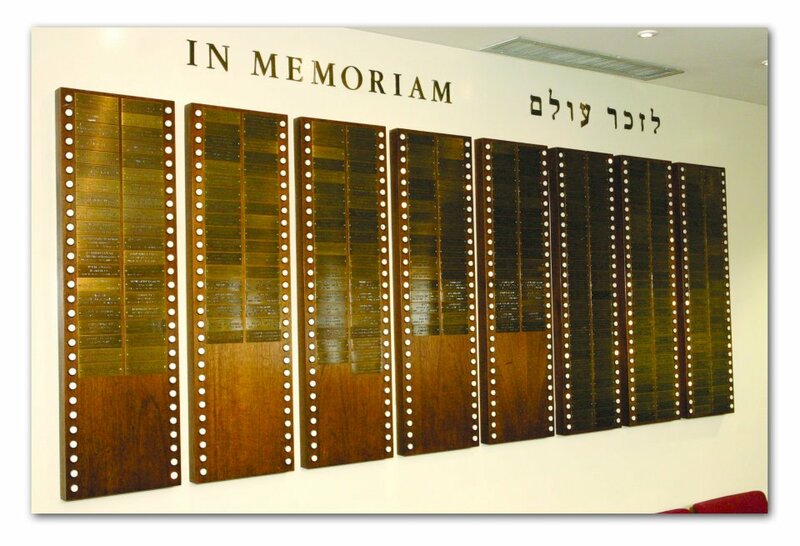 A 33” x 30” cherry laminated board with a curved, cove molding top will accommodate 2” and 12” x 3/16” satin brass English and Hebrew letters and a multi-elevational flame. 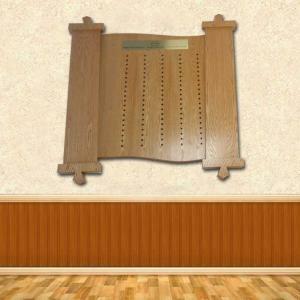 Available in most wood species, custom designed with push button or candelabra based sockets. 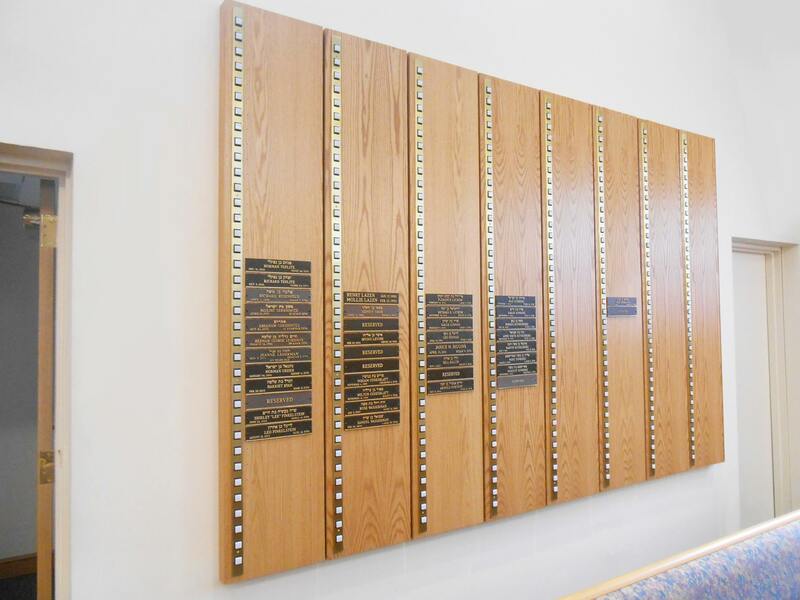 Engraved brass nameplates are mounted with pegs to angled oak columns. 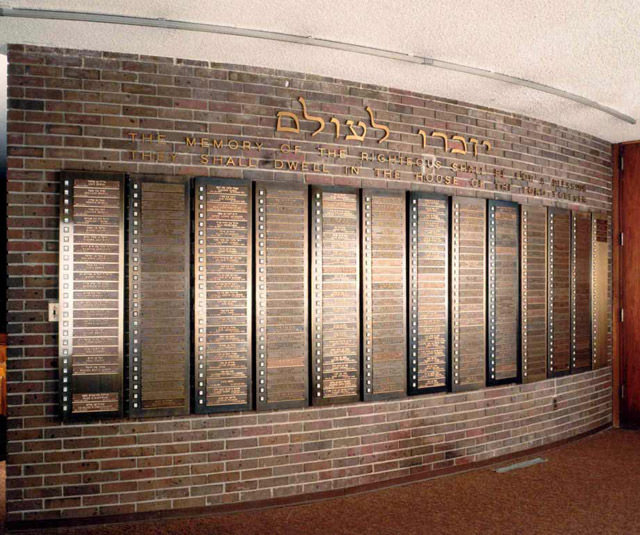 The nameplates are moved to an illuminated Memorial light box during the Yahrzeit period. 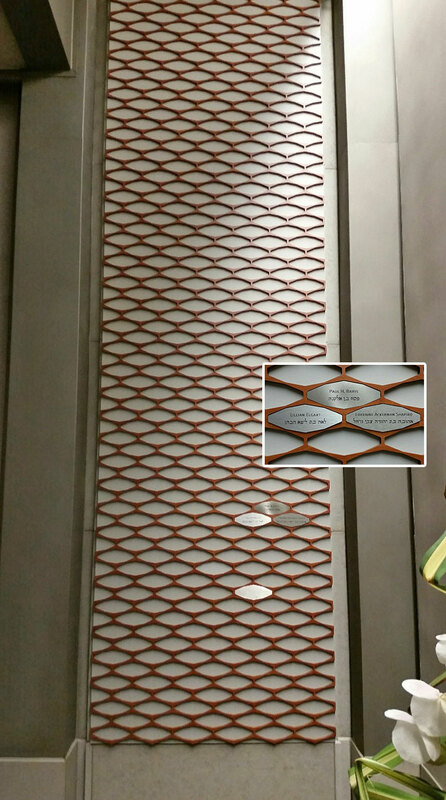 Satin brass plates on multi elevational oxidized columns. 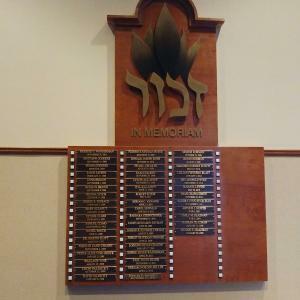 Illuminated bronze flame and letters highlight the wall. 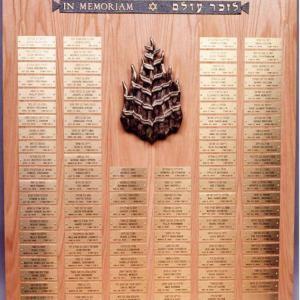 Brass nameplates mounted to oxidized brass columns form this modern Memorial Wall. 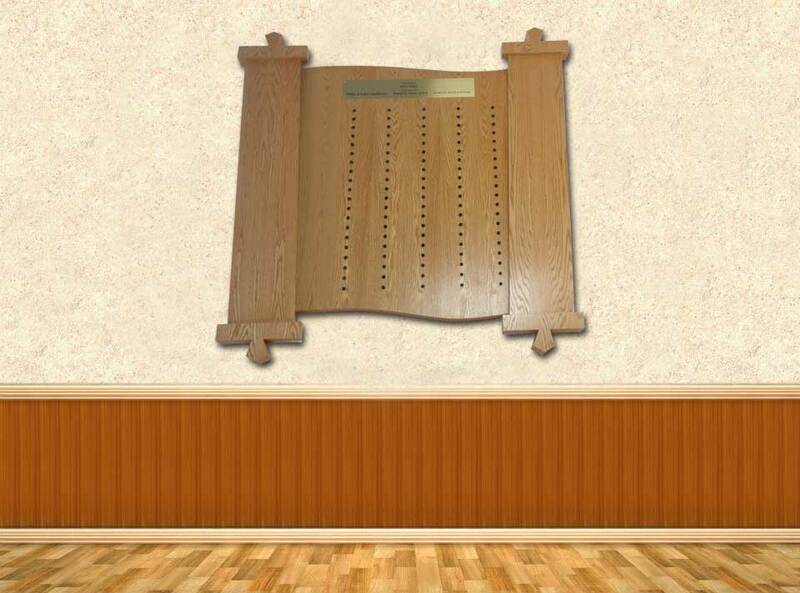 Fabricated from the finest wood, meticulously crafted and finished by our artisans, this is truly an outstanding example of creativity and craftsmanship. 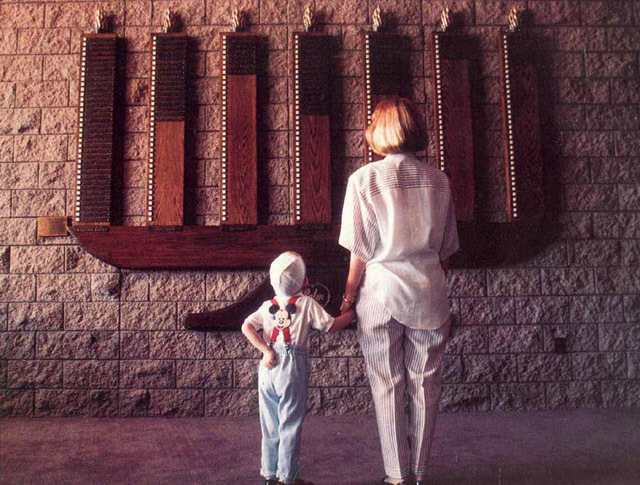 The Menorah has been illustrated in the beautiful book The Jews in America. 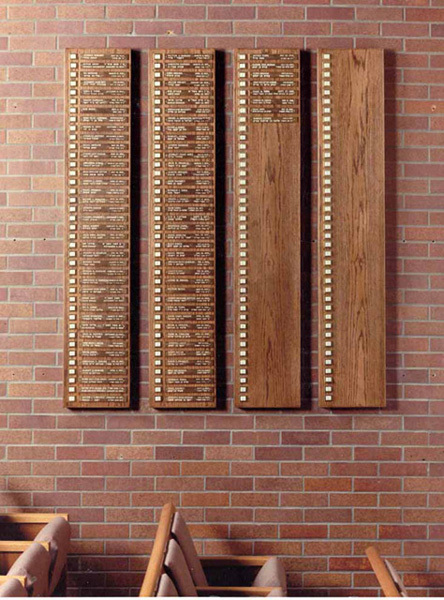 Oak memorial columns accommodate 2" x 10" bronze nameplates and push button lights. 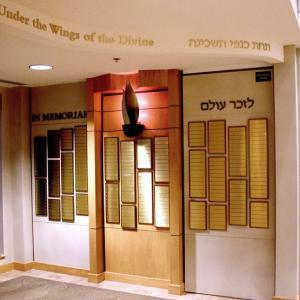 An oak light box accommodates engraved brass nameplates. 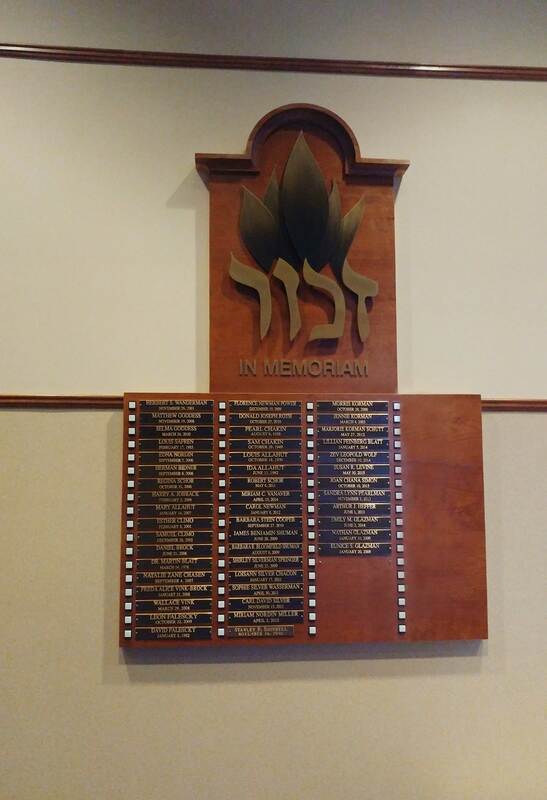 The sculptured bronze flame is backlit. 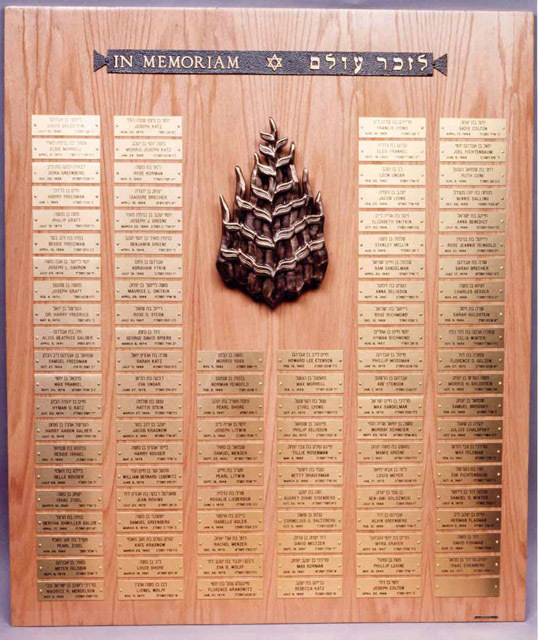 This Memorial Plaque can be fabricated in any size or material. 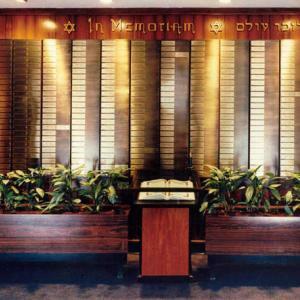 Contact us to review your modern Yahrzeit memorial needs.